Excerpt from book of a more detailed map of Greenland, depicting the location of various scientific and military bases, along with DEW line locations. 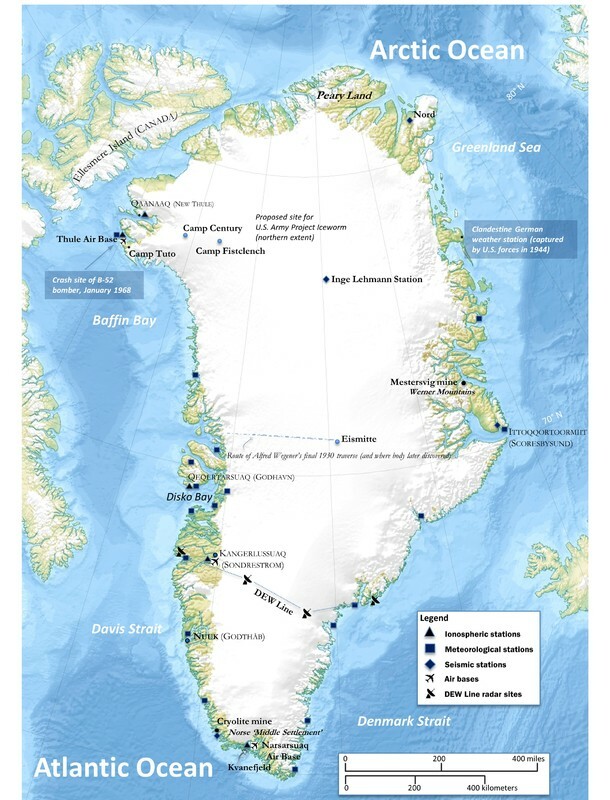 This map is helpful for identifying Thule Air Base and other installations scattered around the country, along with important events in history. R.E Doel, K.C Harper, M. Heymann, “Greenland Map,” Exploring Greenland, accessed April 19, 2019, http://exploringgreenland.org/items/show/5.